All weeknight dinners leading up to Christmas should be simple, exciting, and really delicious. 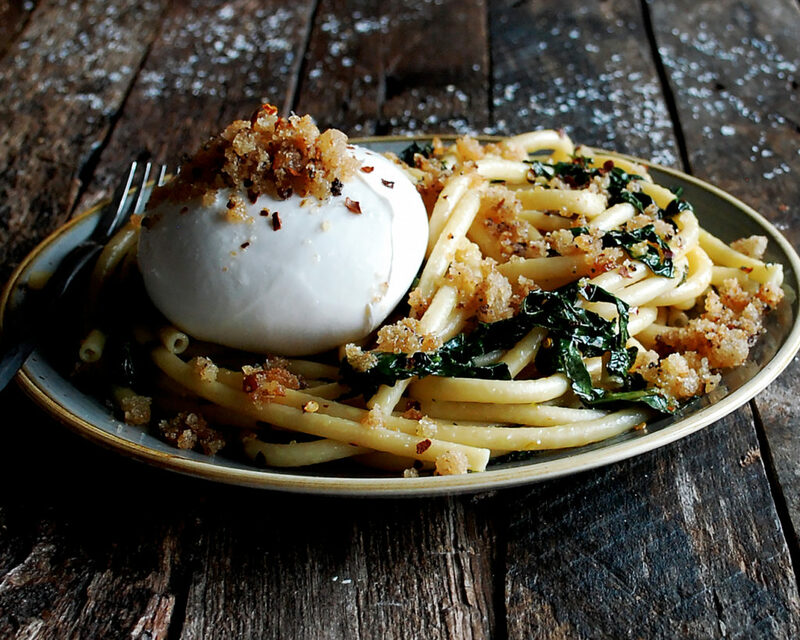 And that is exactly why you’re going to love this Bucatini Pasta with Burrata & Fried Breadcrumbs. I made this dish on a whim, simply wanting a really quick plate of pasta to cozy up to after a long day of recipe testing. It turned out so great that I had to share the recipe! The ingredients are extremely simple, so the real trick to this is in the seasoning. I highly recommend tasting the breadcrumbs, the sauce (which is olive oil based), and the pasta along the way to ensure everything is seasoned well. 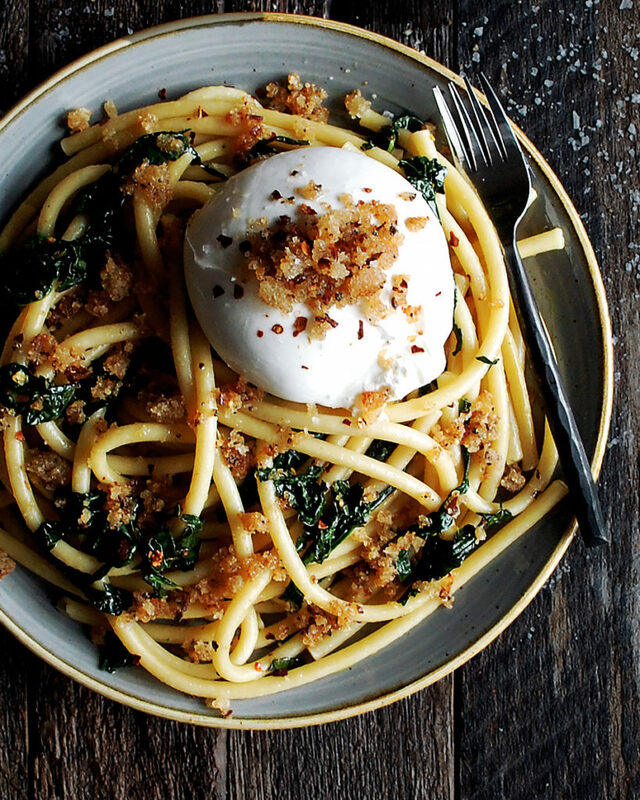 Salt will bring out all the flavors of these really simple, beautiful ingredients…like garlic, kale, fresh breadcrumbs, and burrata. YES. The burrata is probably the best part. 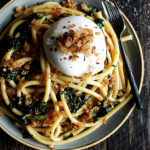 I like to top the pasta with a big ball of burrata (or two, or three..) and then break into it so that the cream from the cheese combines with the olive oil to create a really silky consistency. Again, make sure the burrata is seasoned well! And as a runner up to the best thing about this dish…those crispy fried breadcrumbs on top. I take fresh bread, pulse it into crumbs, and then fry until golden. I think everyone’s Wednesday before Christmas needs this pasta! 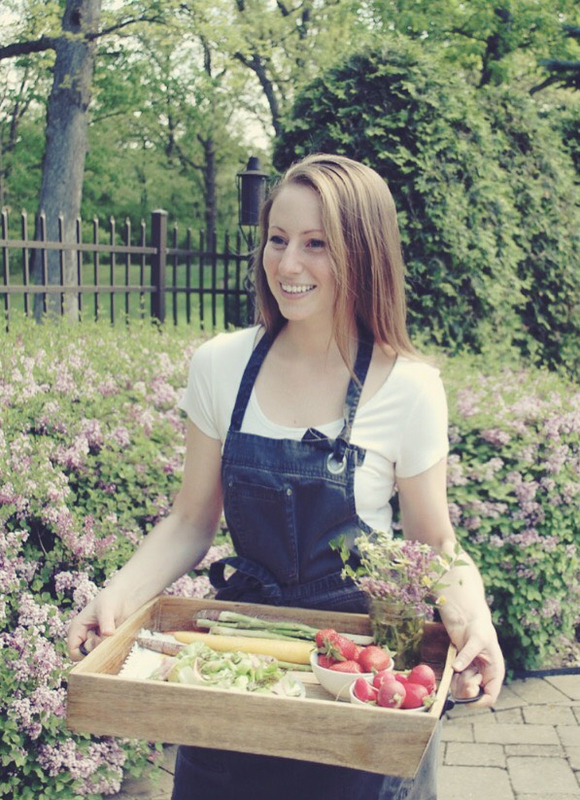 And maybe this frisee & arugula salad on the side…for balance, of course. Place the bread into a food processor and pulse until fine crumbs. Add safflower (or vegetable) oil to a large sauté pan, enough to coat the bottom and come up the pan about ¼ of an inch. Turn the heat on to medium, and let the oil heat up. When the oil is hot (test a breadcrumb in it, you should hear a sizzle), add the bread. Don’t overcrowd the pan. Work in two batches if needed. Let the bread toast in the oil until golden brown and crisp, stirring often. Use a slotted spoon to quickly transfer the breadcrumbs to a plate lined with paper towels. Immediately season the breadcrumbs with a good pinch of salt when they are still hot. Reserve for the pasta. Bring a large pot of salted water to a boil. Add the bucatini pasta and cook 2 minutes less than the box’s cooking time, stirring often so that the pasta does not stick. Meanwhile, heat a large sauté pan over medium heat. Add the olive oil. When the oil is hot, add the garlic and red pepper flakes. Cook for just about 10 seconds before adding the kale (watch so that the garlic does not burn). Let the kale sauté for about 5-6 minutes, until wilted and tender. Season with a pinch of salt to taste. Use tongs to transfer the pasta directly from the pot into the sauté pan, allowing a generous amount of the pasta water to be added as well. Let the pasta finish cooking in the pan for another 2 minutes, stirring often, or until the pasta water reduces and thickens into a sauce. Stir in the lemon juice. Taste the pasta and season with more salt if needed. You want the salt to bring out all of the flavors so that the pasta tastes really well-seasoned. Serve the hot pasta in a large bowl. Garnish with the fried breadcrumbs. 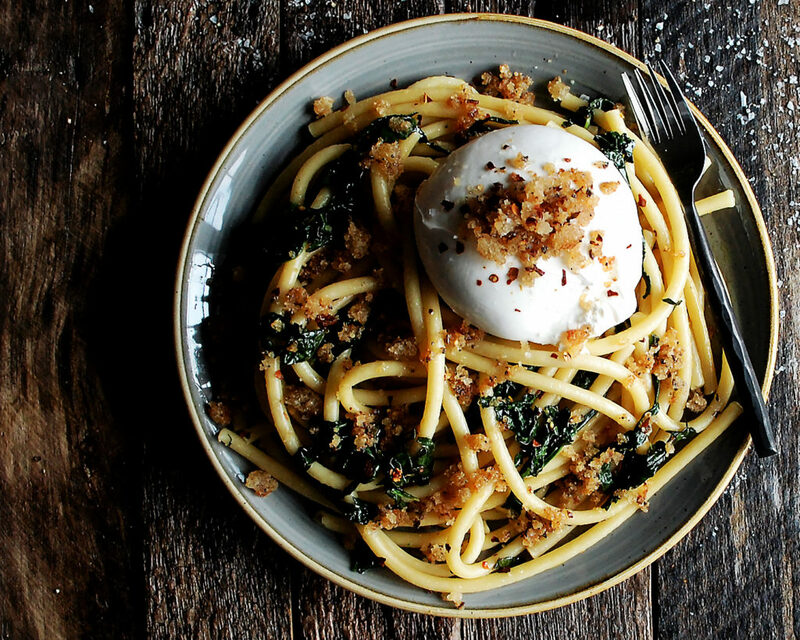 Place the burrata on top of the pasta. Season the burrata with a pinch of salt. Break the burrata balls apart when serving, so each person gets a little bit of burrata to mix in with their pasta. WOW!!!!!!!! I need to make this STAT! Yum!!! Oh, YES! This is such a good one. It’s something you really don’t even need a recipe for..just some good ingredients and a little sautéing! At what point do you at the kale? And is the kale just boiled or sautéed? Also is this pasta good to also serve cold? Hi Jelena! Once the pasta is done boiling, it gets transferred directly to the pan that you sautéed the kale in. That way, it all just gets tossed and combined together right in the pan. Let me know if you have any other questions, and I hope you love it!